Ever since Ernst Happel left the club, the Hamburger SV has struggled to live up to the fans expectations. Here is why. 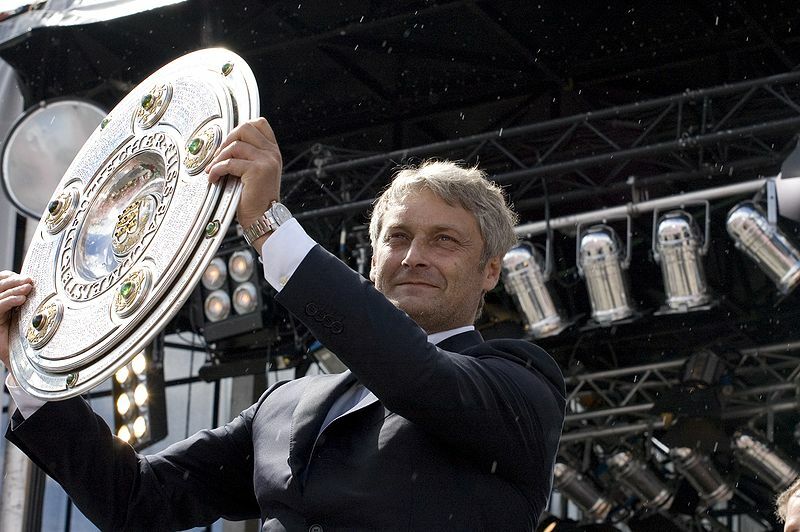 Armin Veh has already won one Bundesliga championship with VfB Stuttgart. 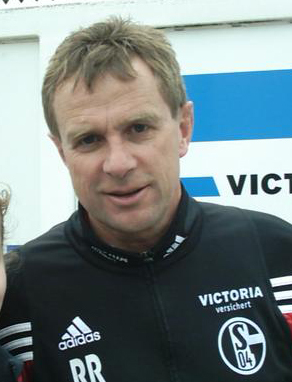 Will he be able to lead the HSV to glory? side. 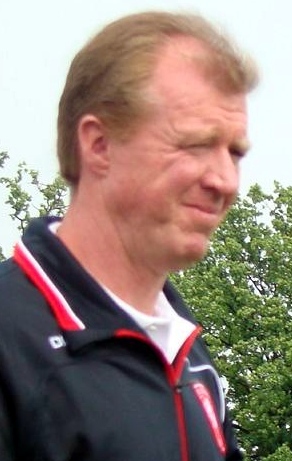 Before the start of the spring season Veh was amongst the league’s top contenders to loose his position as a coach. Veh has somewhat managed to pull his head out of the noose with two rather dodgey 1-0 victories. However, it is unclear if Veh is able to keep his job if his team doesn’t continue to win games. Standards in Hamburg are high. The press and the fans are expecting a top three finish every season, and glorious Champions League matches. Ever since Ernst Happel left the club the reality has been a different one. The club managed to win the league twice, the cup once and the European Cup once during the reign of the Austrian. (The European Cup turned later into the Champions League). Glory days: Lars Bastrup (r.) stops the BFC-player Hans Jürgen Riediger in an European Cup match in 1982. DFB-Cup he won a couple of month after he had taken charge of Bremen). I do not believe that Hamburg ever will win another title if they give their coaches less then two seasons to establish themselves at the club. Coaches like Happel, who win the league in their first season, are rare. If Hamburg is trying to find another Ernst Happel, they will have to wait for the next title for a really long time. Money will certainly buy you a couple of hours of “loving” on the Reeperbahn in Hamburg, but the HSV has spent its money even more unwisely then those who frequent the Reeperbahn. The signing of Ruud van Nistelrooy seems to go into the history of the club as another signing that wasn’t worth the effort the club put into it. The Dutchman arrived with a history of injuries, but the HSV still chose to trust his abilities. Now that van Nistelrooy has stayed with the club for just one year he wants to move again. Roughly the same thing happened with Rafael van der Vaart, and a number of different players. Furthermore, the club has made a number of really poor, costly signings. Cristian Raul Ledesma is one such example. Costly and ineffective: Cristian Raul Ledesma played a total of 16 Bundesliga matches, not scoring a single goal. Here he is in the jersey of Olympiacos. However, it has to be remarked that coaches who don’t get to stay for more then a year or a year and half have a hard time to form the team that they have in mind. A manager needs at least two transfer windows, sometimes even four or five transfer windows, to form a team that he is happy with. If Veh isn’t given more than a season to prove himself at the club, he will most certainly fail like all the of the other 16 coaches that have tried their luck after Ernst Happel left. And like all of them, he really didn’t get the chance to prove himself either. Update: the Bundesliga for newcomers segment will be finished this weekend, so stay tuned. 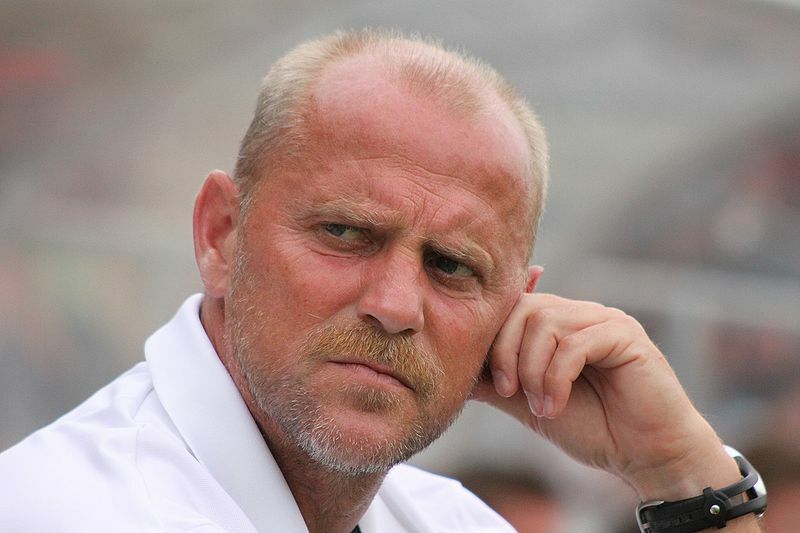 Should Armin Veh stay at Hamburg? Leave a comment below. Posted in Bundesliga, Bundesliga history, coaches, Giants of the league, Hamburger SV, HSV, Mistakes, Transfers and tagged Armin Veh, Cristian Raul Ledesma, Ernst Happel, Hamburger SV, HSV, Lars Bastrup, Rafael van der Vaart, Reeperbahn, Ruud van Nistelrooy, Thomas Schaa. Bookmark the permalink.